Edward H. Heller, the famed venture capitalist of the early 20th century, had a knack for spotting small-cap stocks that would make their investors a lot of money as they grew to become mid-cap stocks. Heller said that he invested in companies that could be described as “vivid spirits”, which he further defined as companies focused on maintaining low costs with robust product improvement lines and an insatiable appetite for gaining market leadership. If Heller were around today, I suspect he would put serious money into WD-40 Company (WDFC), the San-Diego based company known for its eponymous oil-based spray cans. It is the largest distributor of canned sprays direct to consumers, and elects … Read the rest of this article! 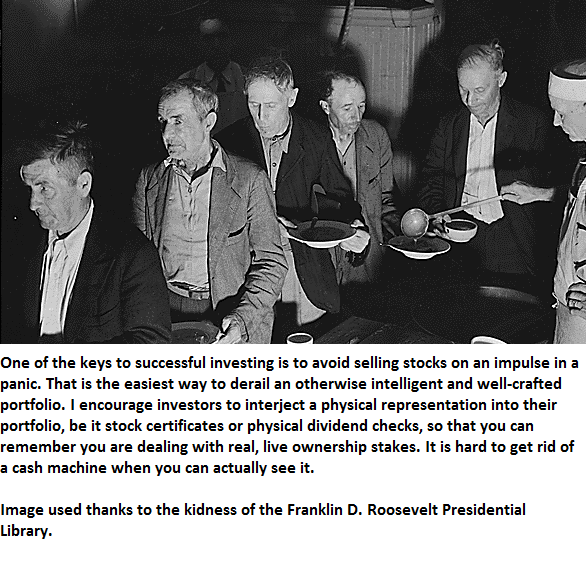 One of the crazy things about stock market investing is that we can unload a stock on a whim. We could spend three decades owning some Exxon stock passed down to us from our great-grandparents, collecting the dividends and adopting the perspective of a long-term business owner, and all of a sudden, we could sell it all after waking up in a cranky mood one day, logging into our brokerage account on our computer, typing in the three letters “XOM”, and then clicking “sell.” In the wink of an eye, you can undo decades of sedulous business accumulation. I find it scary how easy it is to undo a good thing. Go old … Read the rest of this article!